Introducing an easy to install device which seeks to make load-shedding a problem of a bygone era. 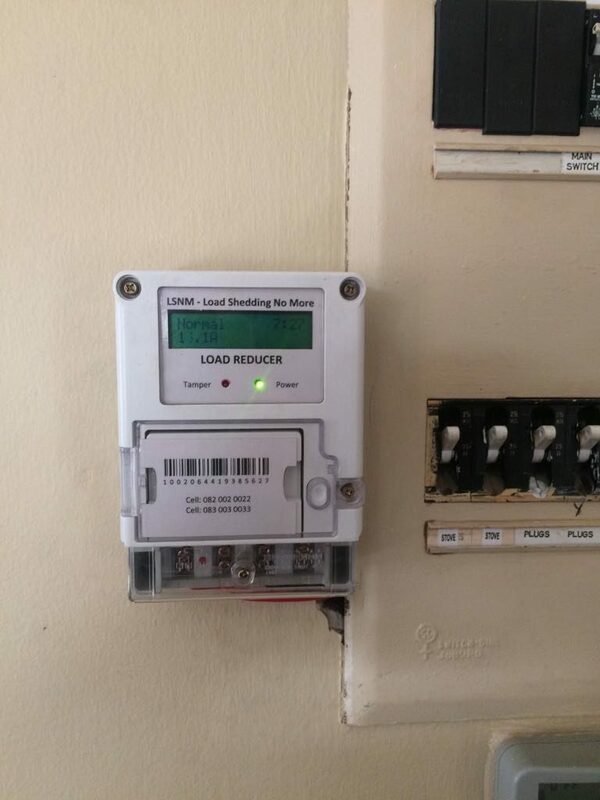 This simple device allows Electricity Supplier to limit electricity usage by all South African households, while allowing the households to still enjoy lights, TV and a cup of tea. 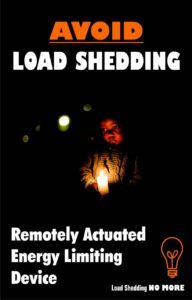 Electricity Supplier then resorts to load shedding. country does not use more electricity than it can produce. for a couple or several hours (Stages 1, 2 and 3). house fires as people tend to improvise in their lighting and cooking. utility company (Electricity Supplier), e.g. geysers and pool pumps. Reconnection is up to the schedule/discretion of the Electricity Supplier. prescribed limit, Electricity Supplier cuts disconnect the house for an extended period of time. The house is then without power until remotely reconnected by Electricity Supplier. 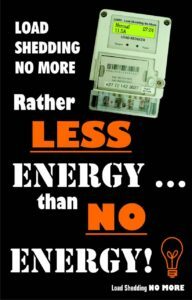 party) and the user (the energy consumer party) to limit energy consumption of a house. a house. Installation is replicated in each and every house. 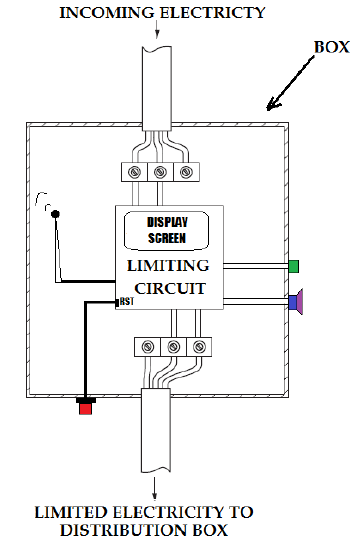 The box has two modes of operation: a normal mode and a current limiting mode. proposal, this threshold is 20A. The threshold may, of course, be varied as per need. enjoying normal, unhindered usage of electricity. • Strain arises on the grid. Electricity Supplier wishes to ease the strain by limiting electricity usage. • Electricity Supplier then targets area C, according to a pre-planned load-management schedule. 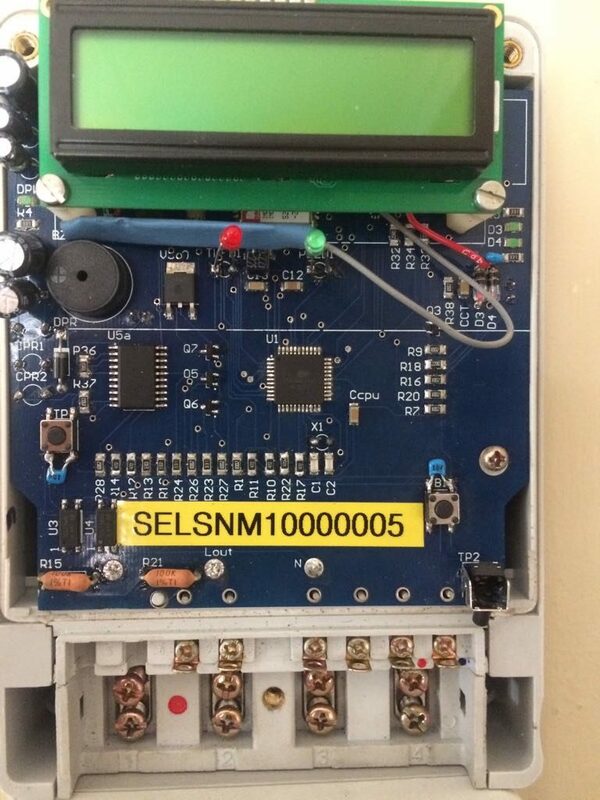 • Electricity Supplier sends batch SMS’es, each SMS going to a box in each respective house in area C. The SMS is a command: “Enter Load-Limiting Mode at 20A”. a warning to the inhabitants of the house (the users) that load-limiting must be effected. In short, reduce load consumption immediately. • The warning lasts for a period of 1 minute (period can be varied). • The box then enters load-limiting mode at 20A. in the house is still greater than 20A, immediate disconnection occurs LOCALLY (i.e. functions automatically, on its own. more appliances. Thereafter, the press the reset button on the box. occurs again and will continue to occur until the house draws less than 20A of current. The enclosure of the box contains sensors within it, so as to maintain the integrity of the box. investigation by Electricity Supplier officials. appliance, up to the prescribed limit (20A). through trial and error, without fear of extended disconnection. user time to select which appliances to switch off. 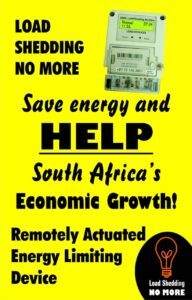 areas at a time, thereby avoiding blackouts and reducing criminal opportunities. operation and instantaneous current usage of the house. 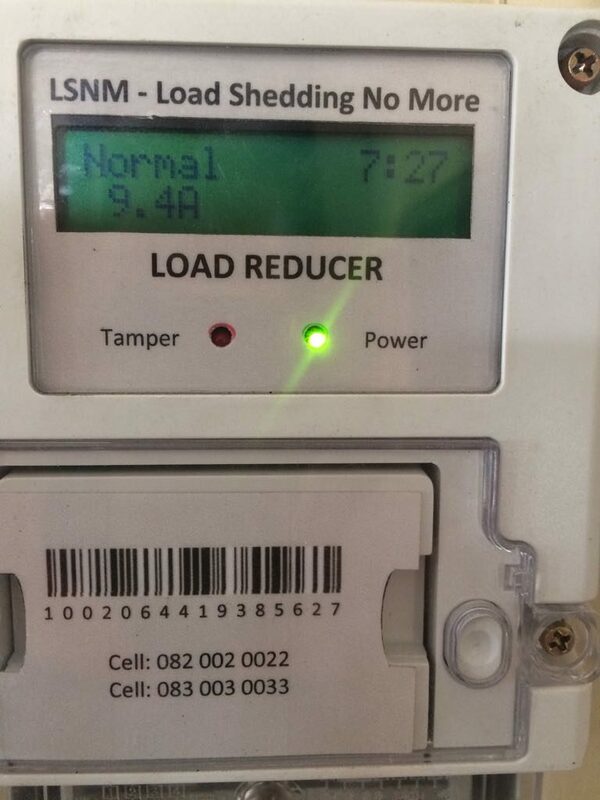 electricity usage during load-limit hours. • The box is tamper-proof, making it reliable to Electricity Supplier in serving its function. patent application number 2015/00611 has been filed at the South African patent office. within the month (October 2015). Patent Pending The Load-Limiting Device (LLD) Solution is in the process of being patented. A provisional patent application number 2015/00611 has been filed at the South African patent office. A complete patent application is being prepared by the patent agents of LSNM, to be filed within the month (October 2015).